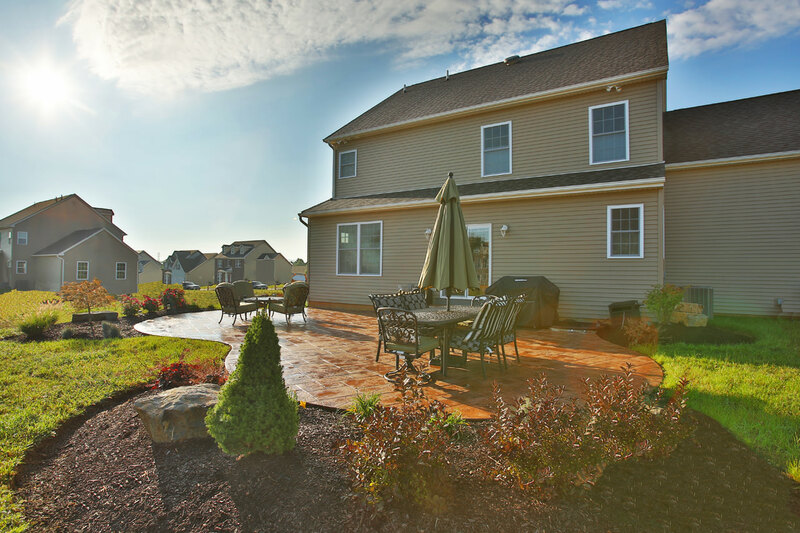 Start by updating old walkways and driveways with stamped concrete or pavers. 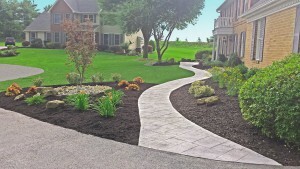 Adding curves to the contours of a walkway or including patterns within the walkway add a more leisurely approach in leading to the front of the house. 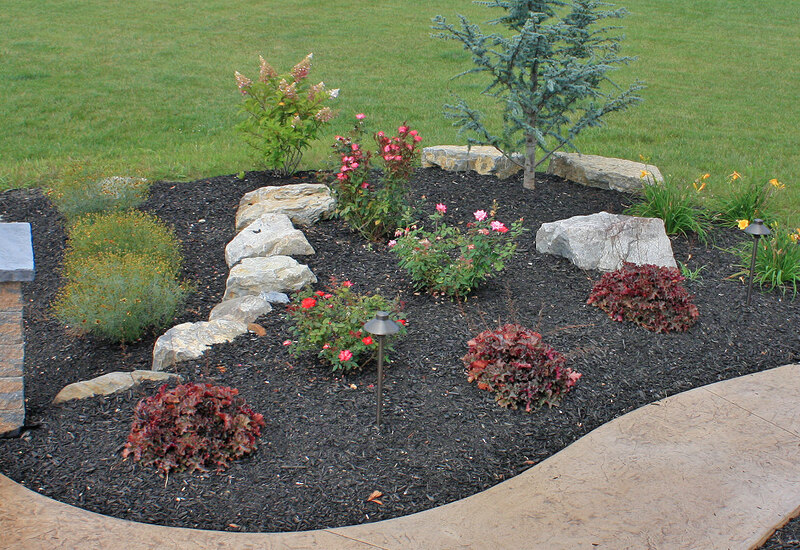 If replacing is not an option, then consider staining your concrete or adding a brick or paver border to widen the area. 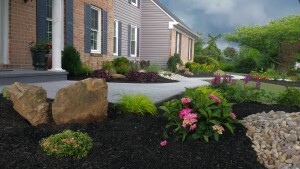 Update or add new planting areas in front of the house, along the driveway and walkway, and in corners of the yards. Dress up mailbox areas with taller perennials or add color to the understories of trees by adding shade-loving plants. Creating seasonal changes adds all year interest. Pick deciduous shrubs or trees that give off beautiful autumn shades of purples, oranges and reds. Use evergreen shrubs to hide unsightly areas and to add winter interest. Bulbs are wonderful for early spring color before any other house is showing signs life after winter. Plant annuals in planter boxes under windows and flowering pots or hanging planters for your porch for added colors during the warmer months. A water feature can create movement and sound. 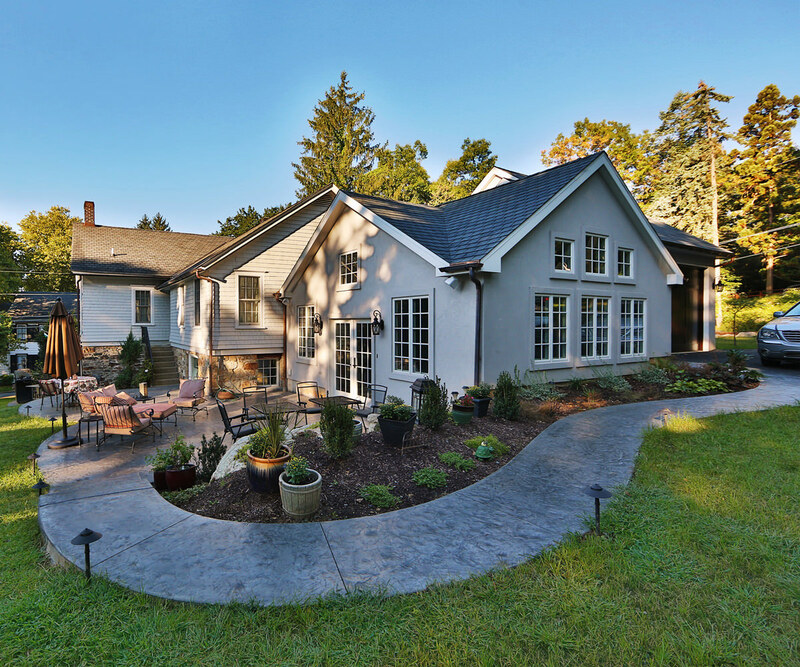 Add a structural fountain or a pond with small fountains for flat front yards. 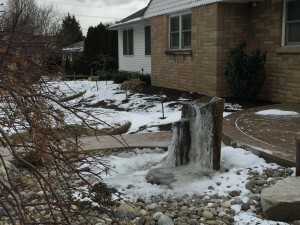 If you have a terrain change in your front yard then consider creating a waterfall that leads into a small pond or rocky reservoir. Light not only adds security to your home but also creates more hours for neighbors and passer byers to enjoy your landscape. 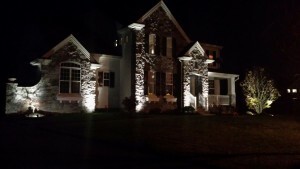 Add low voltage landscape lighting along walkways and accent your favorite trees or the front of your house with spotlights and well lights. Adding light to steps or pillars near entryways will cast light in areas that may require it.